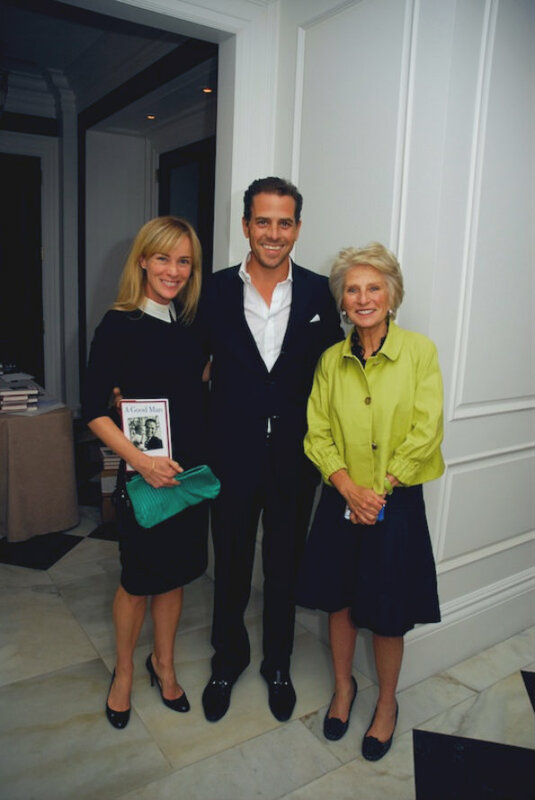 Pollywood: Honoring Sarge Mark Shriver reflects on his father's legacy in a new book. Obamaland: Inside POTUS' First State Dinner Pomp and Circumstance at the Obamas' first State Dinner for the Indian Prime Minister Singh. 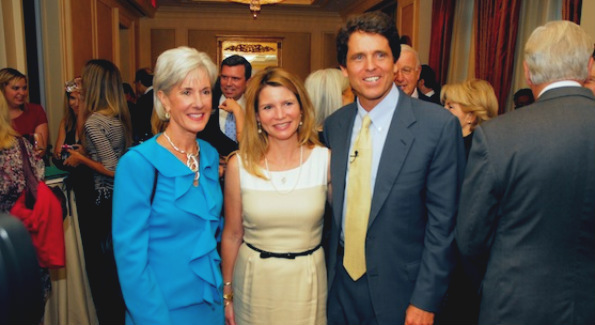 Kathleen Sibelius with Jeanne and Mark Shriver. Sargent Shriver was a larger-than-life figure in the pantheon of great figures in the 20th century. A member of the Kennedy clan through his marriage to Eunice Kennedy, he started the Peace Corps, served as United States Ambassador to France, and ran for President. After his death from Alzheimer’s last year, “Sarge,” as he was affectionately known, was hailed as a great man. Bill Clinton and other world leaders spoke at his funeral. 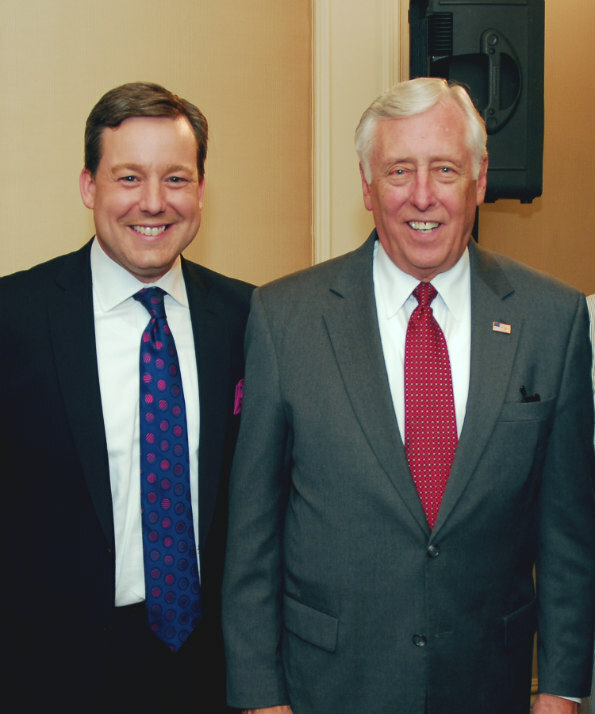 “He was truly one-of-a-kind,” said House Minority Whip Steny Hoyer, who met Sarge in 1962 and spoke at his wake. “I didn’t quite know what that meant,” said his son Mark Shriver. “I thought it was just something that people said to a son who had lost his father.” That statement and the questions it raised, inspired Mark to write his book, “A Good Man,” which recently had its coming out party at The Jefferson Hotel, hosted by Tammy Haddad and Allbritton Communications President & CEO Fred Ryan. Among those attending were a passel of Washington’s political and media elites, including Hoyer, Health and Human Services Secretary Kathleen Sebelius, MPAA President Chris Dodd, Sen. Bob Casey, Rep. Chris Van Hollen, Washington Post Executive Editor Marcus Brauchli, Fox News Senior White House Correspondent Ed Henry, CNN’s Chief White House Correspondent Jessica Yellin, Politico Senior Editor David Mark, Hunter Biden, ABC 7 anchor Allison Starling, NBC National Correspondent Peter Alexander, CNN’s Congressional Correspondent Kelly O’Donnell, and The Washington Post’s Amy Argetsinger. Speaking at the party, Shriver was reflective, having somehow found meaning from his father’s colorful and accomplished life. Mark added that he hopes his book offers readers some of the benefits he’s gained from getting to know his father a little better. See the Summer 2012 issue of Washington Life Magazine for full coverage.